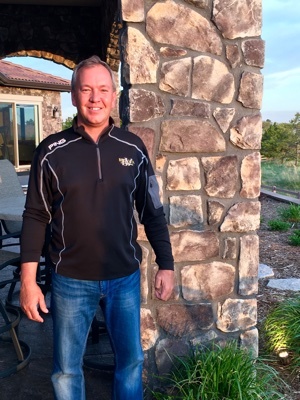 What really sets us apart from other Colorado Springs custom home builders? It is our commitment to ensuring our clients' complete satisfaction. Make Bella Vita Custom Homes your custom home building partner and we will prove to you why Value, Quality and Integrity are the hallmarks of our business. Bella Vita Custom Homes staff has been involved in the home building and remodeling business since 1989 in Colorado Springs as custom home contractors. That is a combined 40+ years of experience making truly remarkable homes and the client's dreams come true. Scott Barton started out in the home remodeling business in 1985. 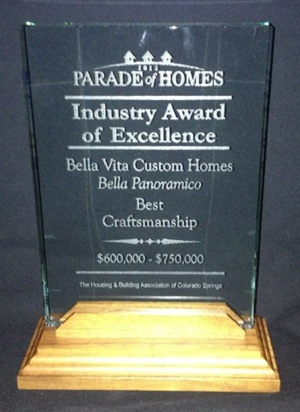 Bella Vita Custom Homes was awarded top honor in 2012 by receiving the Parade of Homes Industry Award of Excellence in Best Crafstmanship. Their 2012 Parade of Homes submission was a beautiful design, with rich colors, marble countertops, stone accents, and warm wood cabinetry. As with all of Bella Vita's homes, the 2012 Parade Home was unique and custom built. 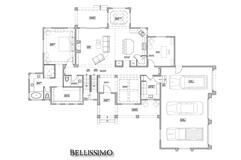 All of Bella Vita's homes are built around the buyers' preferences and ideas. 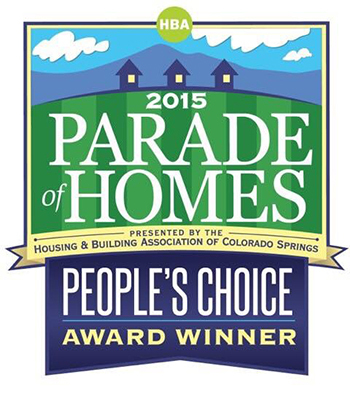 In 2015, Bella Vita Custom Homes was voted People's Choice in the Colorado Parade of Homes. This is a top honor and is decided only by visitors that have seen all other homes in the same category. We were honored to unveil this beautiful home and are very excited to have won People's Choice. No two homes will be the same but each will receive the same level of craftsmanship. Bella Vita always provides you with top quality, award-winning craftsmanship every time. Scott Barton has years of experience working with home buyers, helping them build the home of their dreams. He's there for every step of the home development project. Scott can help you work through the ins and outs of home design and layout. Starting with one of Bella Vita's gorgeous Floor Plans, or with your own design, Scott helps you discover what designs will work best for your needs. Check out some of Bella Vita's previous custom-built homes to get an idea of the beautiful designs that can be created with Scott's help. 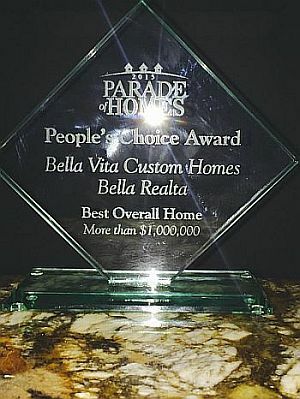 Also, don't miss out on Bella Vita's amazing featured homes in Colorado's annual Parade of Homes. Bella Vita Custom Homes is constantly refining their process to provide the best design and best value for their customers. By keeping their designs fresh and always innovating with the latest construction materials, fixtures, appliances and design accents, Bella Vita is always on the cutting edge of style in Colorado Springs custom home designs. We are not interested in taking advantage of our customers. As a result, we offer far more standard features without making everything an "extra". Our personal integrity and value-oriented approach as a custom home contractor helps our clients get more home value for the money. 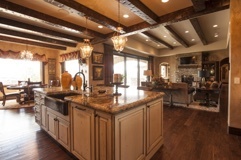 Prospective clients can tour our model homes to get ideas and inspiration before building their Colorado custom home. We offer fresh and innovative custom home designs that bring together the best architectural features with the highest quality construction – all customized to meet our clients' specifications. We use many environmentally friendly and energy efficient materials, from floor joists to insulation, furnaces, lighting and more. 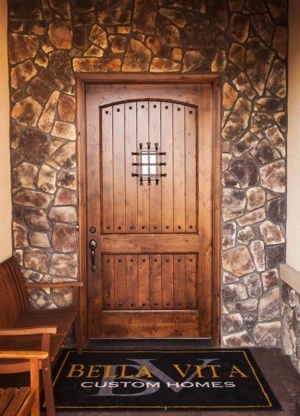 Our landscaping packages are far more comprehensive than other Colorado custom home builders. We will build on the entire front range from Teller County to Castle Rock. I've worked with Scott from Bella Vita Homes and have had a very positive experience. Building a home is a daunting process and I've found Scott to be very knowledgeable, prompt, and patient in designing and constructing my home. He has very high expectations from his employees and craftsman and it shows in the finished product. 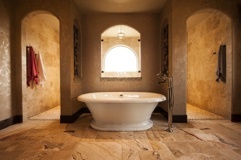 I highly recommend Bella Vita Custom Homes.